It’s a blessing and a curse that we humans are such adept conceptualizers and heuristic thinkers. We continually compare our perceptions about the world to paradigms in our head, performing quick, unconscious goodness-of-fit assessments. We instantly sense danger when a large furry beast rapidly advances. We don’t waste time discerning whether it’s a lion or a tiger. (If it ends up being a friendly dog we breathe a sigh of relief, but better safe than sorry.) Immediately categorizing a new situation as dangerous versus safe is an indispensable survival skill. It many cases arriving at a decision right away is more important than perfect accuracy; some “false positives” are acceptable. We’re not the only animal to react this way. Lab experiments with mice, rats, and other creatures demonstrate their ability to abstract categories and react rapidly in order to stay safe or further their interests. However, when it comes to assessing our fellow human beings, we elevate this skill to an art form. We instantly judge whether a person approaching us is dangerous, whether a negotiator is honest, whether to give weight to what another person says. These intuitions are woven into everyday life, yet are hard to account for in detail. Observing even one or two qualities we associate with dishonesty, e.g., a shifty gaze or inconsistent narrative, may be enough for us to withhold trust. The stakes involved, and our past experience in similar situations, color our judgments in complex ways. In this way we are all experts about other people. We get a gut feeling, a sense, a vibe. When it comes to getting along with one another, we’re like the experienced surfer, long-time driver, and seasoned doctor. We don’t consciously analyze, conclude, or decide; the calculus happens unconsciously. And although some of us are better judges of character than others, most of us are right most of the time. Stereotypes and prejudice are the price we pay for this expertise. 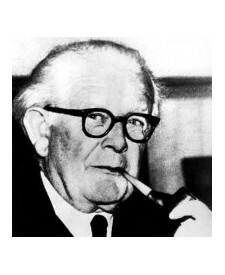 The Swiss psychologist Jean Piaget explained how children fit (“assimilate”) their observations about the world into their pre-existing assumptions, and only more reluctantly change (“accommodate”) their assumptions to fit new observations. This is a good description of how adults operate too. Pattern recognition fails when valid new observations don’t fit the old pattern. We call it prejudice when past experience with criminals of a certain appearance leads police officers to assume that others who look like them are criminals too. We call it stereotyping when female health professionals trigger “nurse” before “doctor,” even though there are plenty of male nurses and female physicians. Mental paradigms change slowly. “Consciousness raising” can help, but fundamentally it takes repeated exposure to countervailing examples to change assumptions. After all, those assumptions and paradigms have saved us more often than not. Our common, repeated exposure to friendly dogs tempers our inherent reaction to large furry beasts, and repeated exposure to different kinds of people refines our expertise in this area as well.